An intelligence official told The Associated Press that the ISIS refuge, hidden behind 10-foot green metal doors in the Qala-e-Wahid neighborhood was packed with explosives, weapons and suicide vests when security forces found it. The official spoke on condition of anonymity in line with his agency’s regulations. 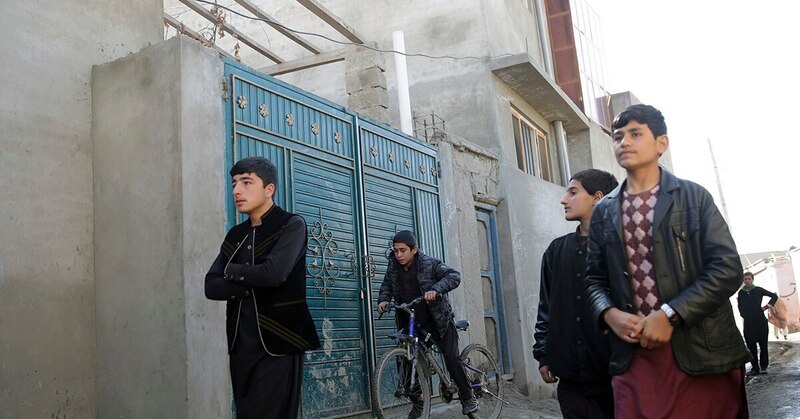 He said the security forces were led to the house by an insurgent who was captured during Monday’s ISIS attack on a military academy in Kabul in which 11 soldiers died. Afghanistan’s ISIS affiliate, which calls itself Khorasan Province, claimed the attack in a statement carried by its Aamaq news agency. 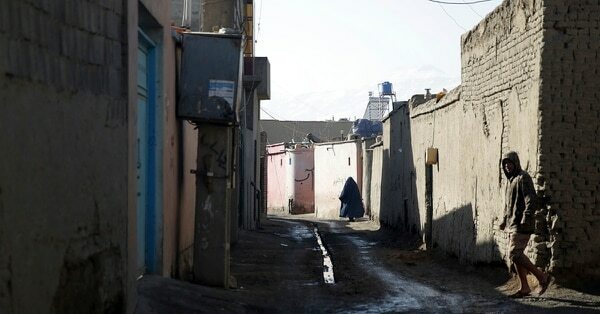 Khan Mohammed, a resident of Qala-e-Wahid, told the AP Friday that locals rarely see a police patrol in their neighborhood and stay at home after dark because of marauding gangs of thieves. They say the government can’t provide security. The streets that weave through Qala-e-Wahid are rutted and ankle deep in mud. A wide open sewer runs the length of the lanes. It is clogged with garbage bags, mounds of trash and human waste. Some residents eye foreigners with suspicion and refuse to identify the ISIS house. There are whispers that ISIS may have sympathizers in the neighborhood. Others, who were willing to talk, say the dangers in their neighborhood come from many places because the security services are non-existent. Fifteen year old Zikarullah, who lives in a mud and straw house directly opposite the ISIS hideout, said the occupants, three men and a woman, had moved in about 25 days earlier. They engaged freely with the residents. “One of them asked me if I liked cricket and said he would buy me a new cricket ball and bat,” said Zikarullah, who used just one name. The occupants were young and the woman always wore the all-enveloping burqa that hid her from head to toe. “The police told us this after they arrested them and they told us they were from Nangarhar,” said Samsor. Afghan Security Forces, aided by the U.S.-led coalition have been targeting suspected ISIS hideouts in Afghanistan’s eastern Nangarhar province, where they are believed to have established their most extensive bases. The United States last year dropped its largest non-nuclear bomb targeting ISIS hideouts in a remote mountainous region of Nangarhar province. Ghani’s National Unity Government has been paralyzed by a protracted feud with powerful warlords, including his vice-president Uzbek warlord, Rashid Dostum, who is currently in Turkey and prevented by the government from returning to Afghanistan. Ghani has also fired the powerful Tajik warlord Atta Mohammed as governor of northern Balkh province, who has refused to step down.